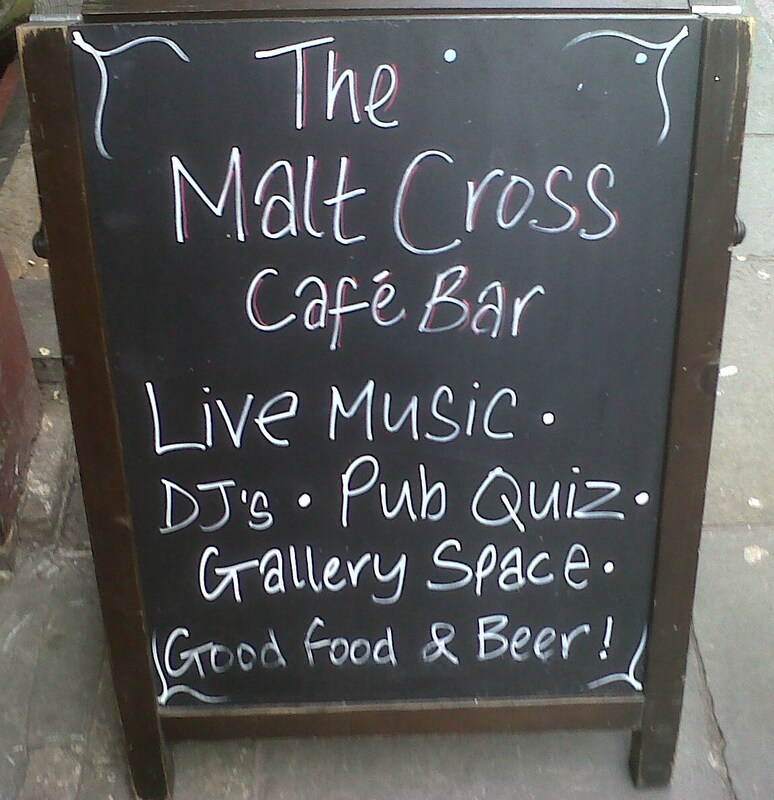 The Malt Cross Café bar is at 16 St James’s St just off the Old Market Square in Nottingham. It lies part way along that narrow passageway of a through way between Maid Marian way and Beast Market Hill. 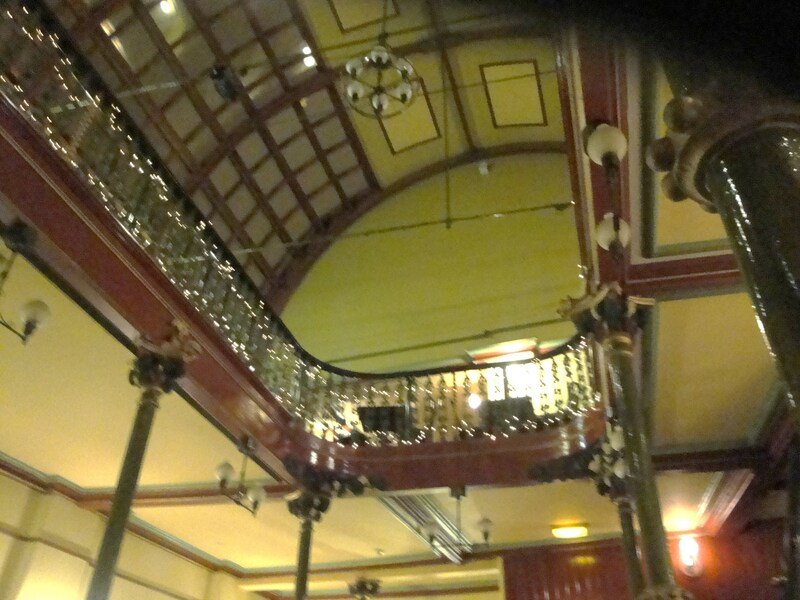 Although these days the Malt Cross is primarily a pub it started life as a Music hall and the interior is pretty much still as it was back then. It was built in 1877 and apparently it almost was a skating rink. There is a nice article in the Left Lion by Amy Firth “A potted history of the Malt Cross” that relates the story and more about it’s life. This is one of the City Centre waterering holes that I enjoy visiting. They sell good beers and it has a nice atmosphere. We checked into the place early enough for once to be able to get some food. They stop serving the food at 7pm so be warned. 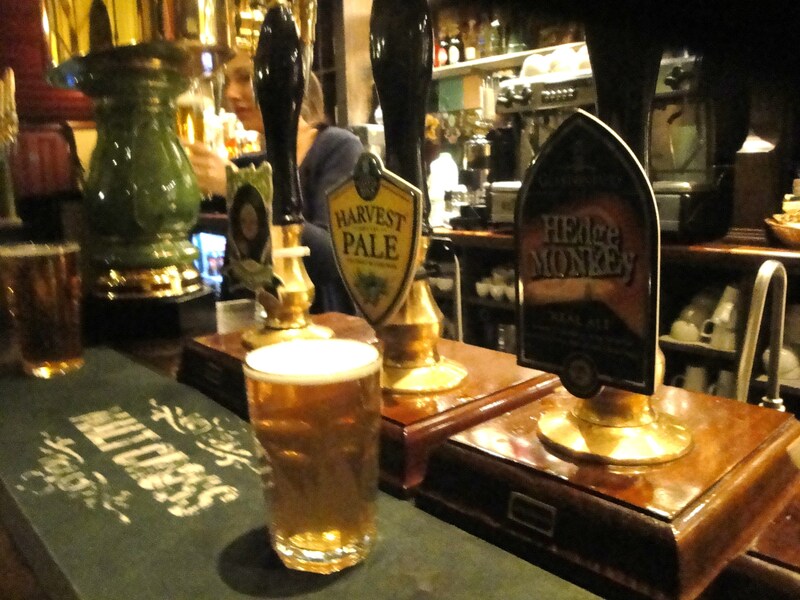 We got ourselves a couple of pints of Harvest Pale ale to assist with the food selection process and squinted up at the chalkboards on the wall to see what was on offer. It basically seemed to be choice between one of their Homemade Burgers or One of their Sandwiches. We were riding along the route of Hamburger Highway so were looking at the Homemade Burger section. It was a simple selection of a Classic Beef burger or a Grilled chicken breast for £6.50 and then just a choice of whether to add one or more of the additional toppings for another 70p. The toppings options were from cheddar, bacon, stilton, onion rings, or caramelised onions. 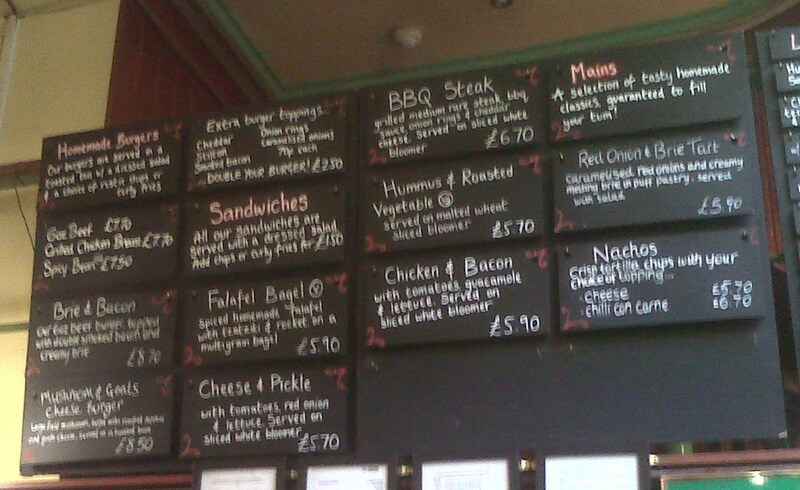 There were a couple of more advanced classic items on the board that you could go for which are a Brie and bacon topped beef burger for £8.70 or a Mushroom and goats cheese topped beef burger for £8.50. I misread the chalk board and thought that the Mushroom effort was just a big mushroom and not a burger topping, I might have had that one. For the vegetarians or those of us taking it easy on the meat for the day you can get a Spicy bean and sweet potato ‘burger’ for £6. I went down the simple but safe route and ordered a Beef Burger with Cheddar topping. My food hunting companion took a leap of faith with the Bacon and Brie Burger. The only other decision we had to make was whether to go with rustic chips or curly fries. I went Rustic, but my companion sadly let us all down a little by getting the ‘curly’ fries (there I said it and that is that last comment on that). We then retired up to the gallery area with our pints of Castle Rock Harvest Pale to await the safe delivery of our chosen hamburger sandwiches. The Burgers arrived part way through the first pint of beer and were a quite welcome sight. I was just starting to worry that they were not coming as it had reached that moment when you start to think ‘how long has it been since we ordered’, we were just on the cusp of the moment when we were about to start hunting them down. I suppose that was a good indicator that everything had been freshly scratch cooked and that there was no ding ding cookery going on in the Malt Cross kitchens. My Cheddar topped Beef Burger also had some slices of tomato and lettuce inside the toasted sesame bun. I didn’t remember asking for additional rabbit food, but I was glad that they were there as they added some crunch and sweetness to the sandwich. The Burger itself was nicely cooked, still a little pink and juicy in the middle, with a small amount of char on the surface. 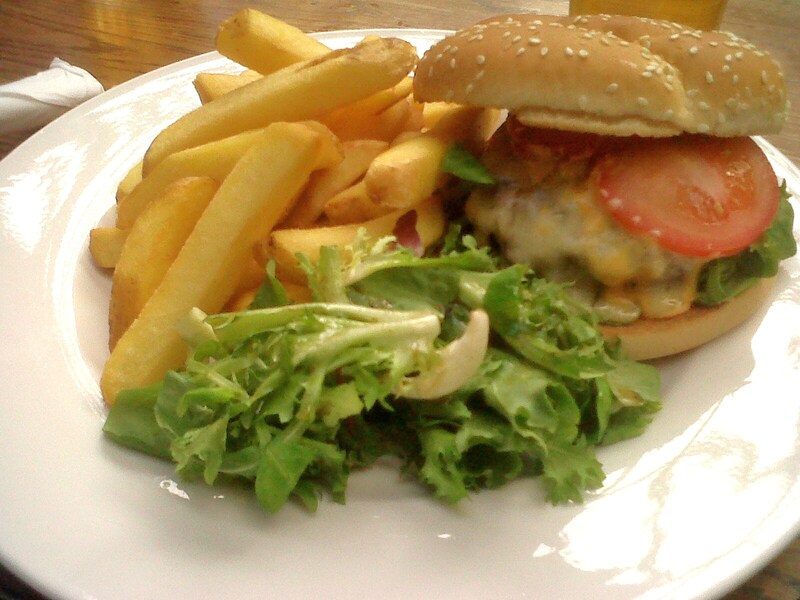 It was a good meaty mouthful and the patty was of good enough quality to have been eaten on its own. Nicely seasoned and pretty good effort all around. The rustic fries that came with the sandwich were really hot with a crisp crunchy outside and a soft fluffy potato inside. They did need some seasoning and I was happily dipping them into a pool of mayo quite freely as I ate my burger. 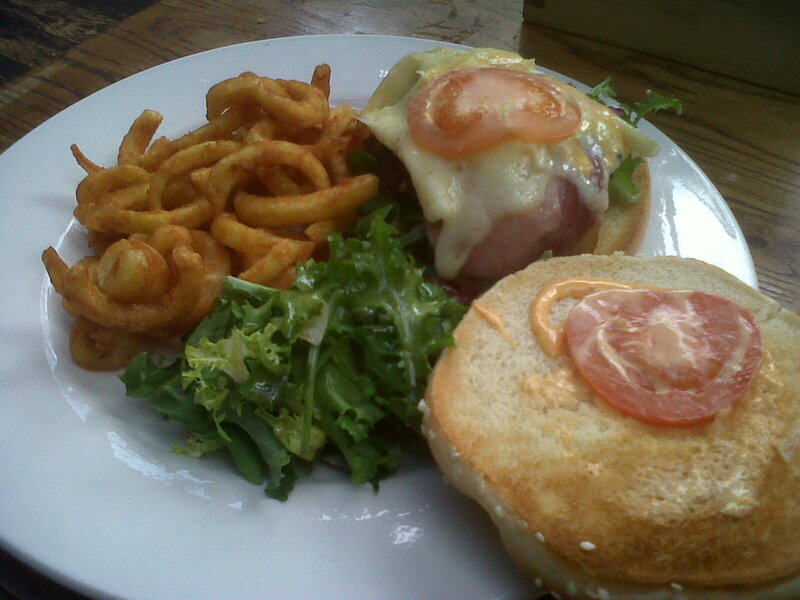 The Bacon and Brie burger was also declared to be a success, “This is how a pub burger should be cooked” was the main jist of the conversation (I still question those curly fries though mate). 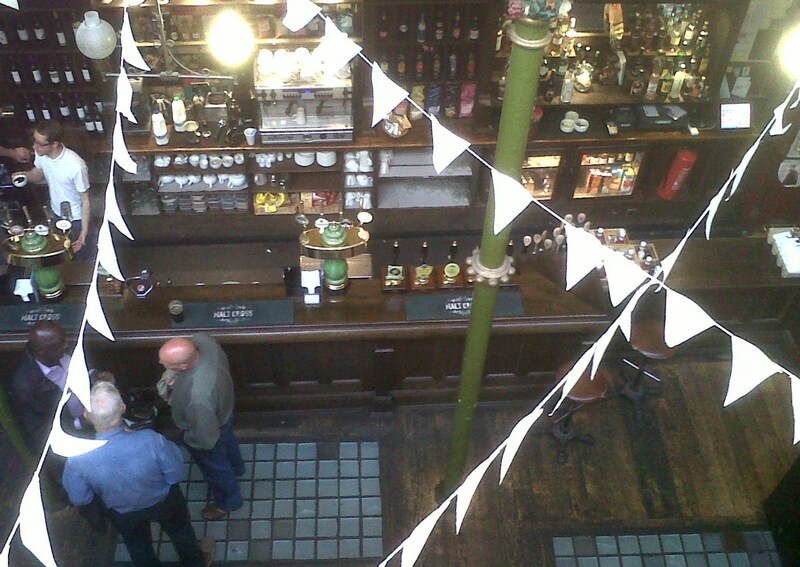 I had not eaten before in the Malt Cross although I have drunk several pints of their well kept beers and brought my fair share of visitors through here on mini pub crawls through the classic pubs of Nottingham, enroute between the Trip and the Bell. The Menu is not over complicated which is a good thing, in my opinion. I would rather see the chef producing twenty burgers all the same, than twenty different dishes that only get made once a night. There is a much better chance of consistent cooking and use of fresh not frozen ingredients with a smaller menu. I would eat these burgers again and I would happily feel safe recommending to others to eat here as well. 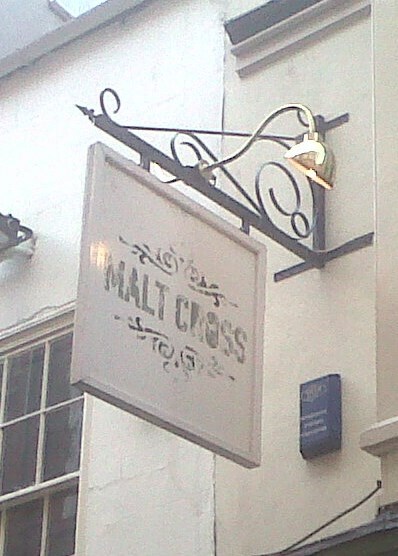 The Malt Cross is located at 16 St James’s Street (don’t forget that extra ‘s when you type it into your pub GPS). You can read all about them on their website and follow them on Twitter and Facebook as well. The nearest tram stop is the one in the Old Market Square, but it is also reachable in the 5 minute radius from the Royal Centre stop. To be honest the best way to reach here is somewhat circuitously via several other notable city centre watering holes such as the Trip, the Roundhouse, and the Bell (just to name a few).